Where digital, design, and marketing passionate geeks meet. App-Bit Studio sees infinite ways to improve people’s lives through digital channels. We have years of experience providing complete digital marketing solutions for early stage start-ups, to the multinational conglomerates, and everyone in between. Our team members include web designer and developer, SEM and SEO specialist, social media expert, content writer and business consultants. Our strength is the ability to combine new media technologies and business strategy together and generate opportunities for our shareholders and clients. Professional, creativity, usability, and marketing communication are always in our mind in website development. Regardless of your brand, service, and product, we carefully design beautiful graphics and page layout and develop the site with latest trend technology to achieve the maximum benefit for your business. We are expert in HTML5, CSS3, PHP on the world's most popular platform, WordPress, so it's easy for you to manage your own content in the future. Computers, tablets, smartphones - we conquer them all with responsive web design. We also provide domain registration, web hosting, if you ever need one, and all the websites come fully equipped with Google Analytics and Google Webmaster Tools. So you have your business website fully developed and you think you’re done. Has anyone seen it? What is good of your beautiful website if no one sees it? Google is the most popular search engine; how are you ranked on search results? With long experience in SEO specialty, we give your website a strong advantage over your competitors to be in the top of search result. We carefully drive in every page on your site and optimize them efficiently with the most suitable keywords. 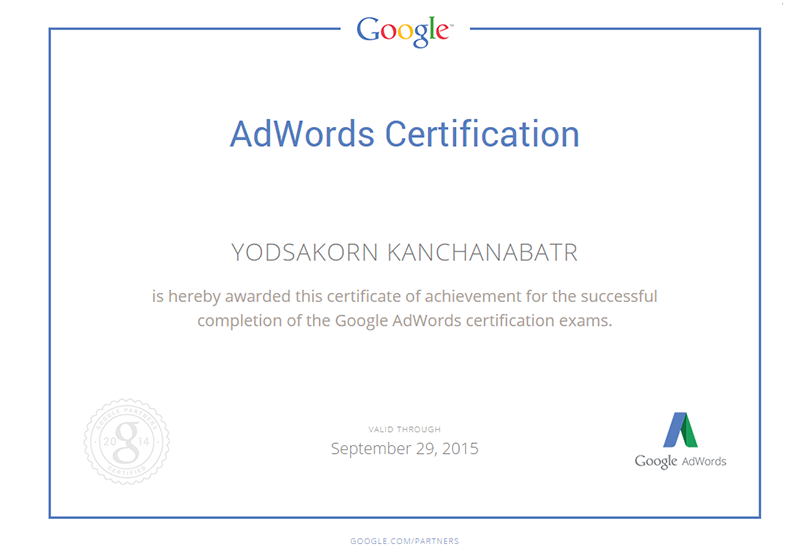 We continuously improve our frameworks to match with the Google’s latest search algorithm. 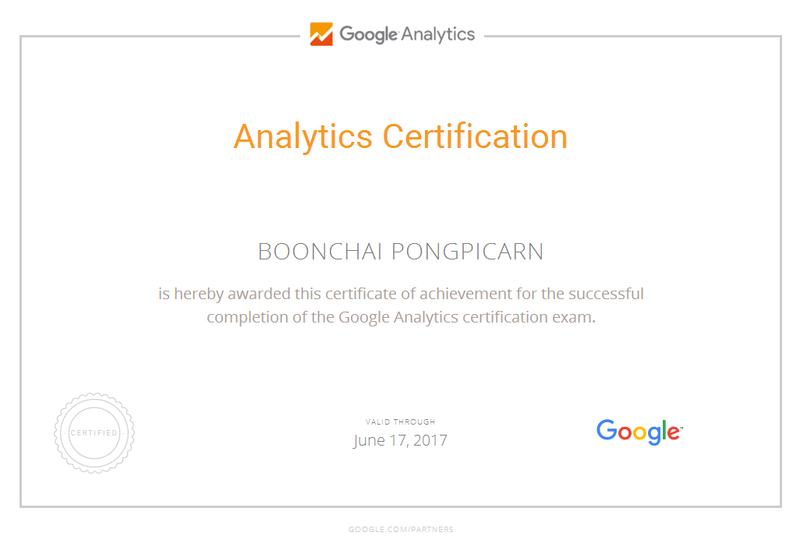 As a proud member of Google Engage certified program, we strongly discourage the practice of guarantee result ranking. We strongly believe that SEM is the fastest and most effective way to drive sales for your business. 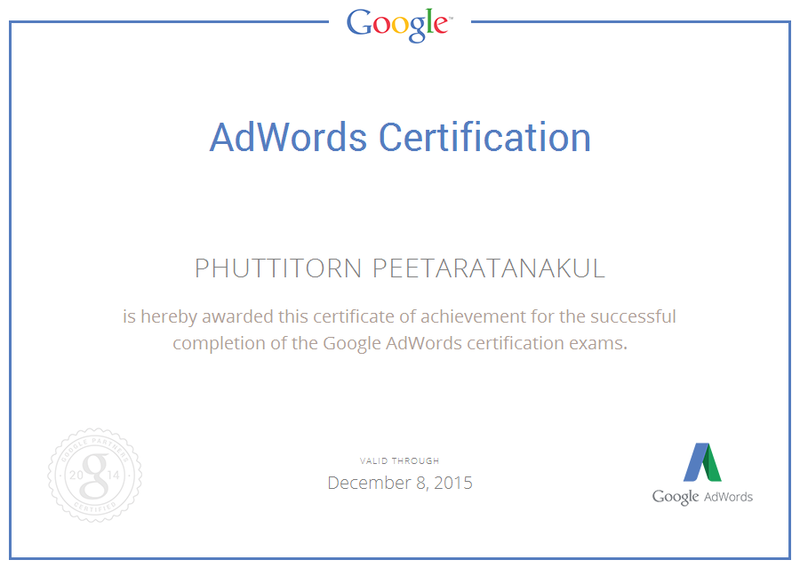 We deliberately create and tune-up your Google AdWords and Google Display Networks campaigns. With multiple years of experience Google-certified team, we consistently monitor and optimize your paid search strategies, so that every single dollar generates the maximum profit for your business. 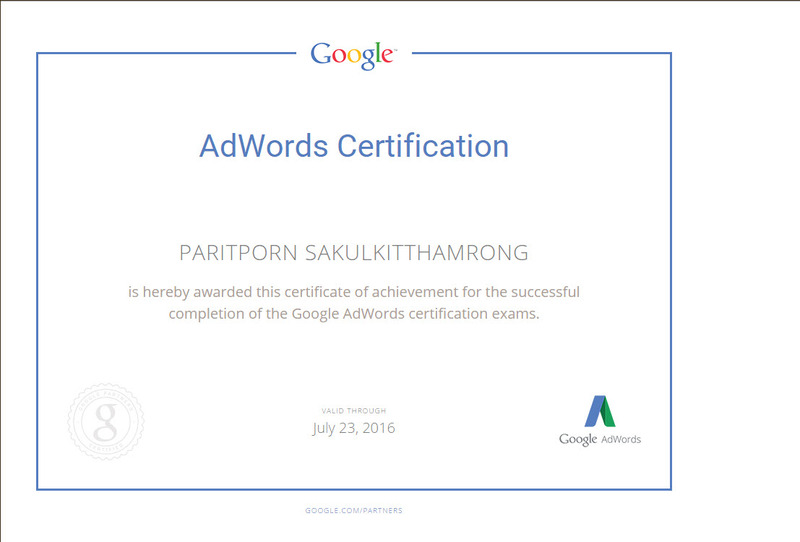 We can proudly say that our SEM skill is second to none in Thailand. We work with all types and sizes of companies; We have successfully driven many of our customers to be number one in their respected industries including florist and online payment gateway service. 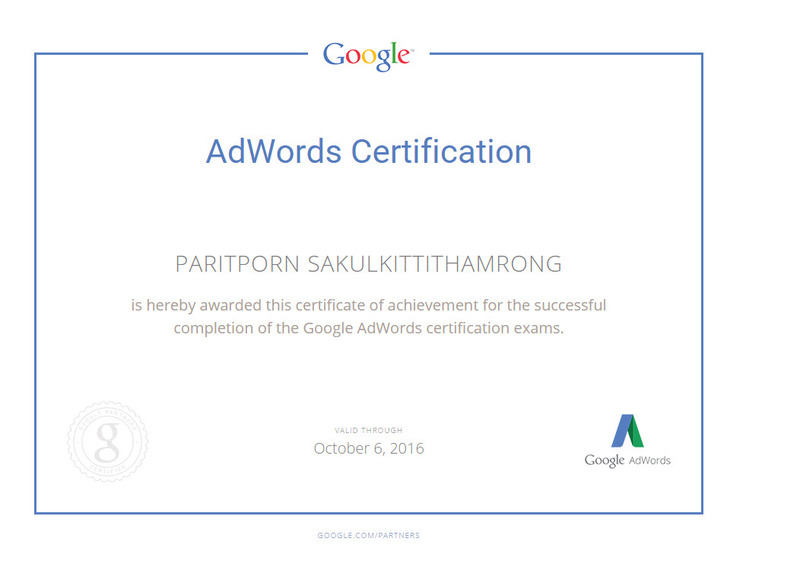 As a certified member of Google Partners program, we are completely transparent in being a 3rd-party Google advertising provider. Please feel to read Working with Third-Parties guideline. 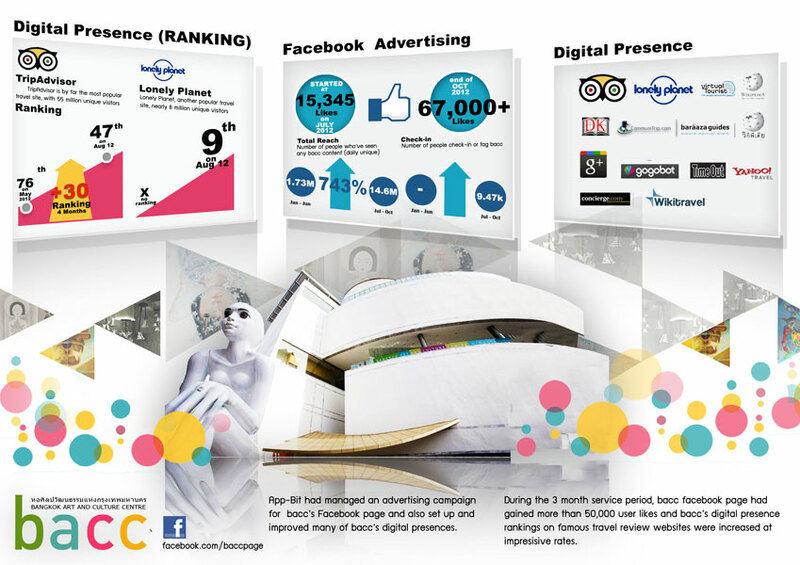 We hope you all have acknowledged that social media is one of the strongest digital trends these days. It is no longer just for personal. There are tremendous business opportunities that you might have missed on social media. App-Bit is a professional in social media management, providing the complete solution of posting, advertising and monitoring. We have experiences in managing social media for large organizations and world class companies. With the team of creative writers, graphic designers, marketing specialists and business consultants, your social media is in good hands and we will drive the maximum traffic and most engaging to your channels. We provide professional email service so you can have business email under your own brand - easy to remember, easy to use, unique, and limitless giving you more trustworthy from your customers and more sales from anywhere in the world. Simply connect your brand domain name to our reliable world class email cloud hosting from app-bit mail, with unlimited email storage and unlimited incoming and outgoing daily traffics. We offer packages starting from a small 10 accounts 1-year service to lifetime plans. We also provide assistance on mobile email setup or mail client. Pretty much we take care of all email aspect of your business, so you can be worry-free and focus on your business. Digital Marketing. What is it? How many types are there? What is the best fit for my business? Too many terms, too many steps? Which one should I start first? Is it worth doing it? We have the answers for you. App-Bit is a professional team in digital marketing. We know that success in the digital age doesn't come easily and you've got to start somewhere. Look no further! App-Bit can help you. We develop a full digital marketing plan for your business, no matter the size or the stage of your business. We can deliver the right experiences to the right consumers at the right times. We are in 21st century. Trust me, if you say you don't need digital marketing for your business, you are wrong. All packages start from 15,000 baht/month. Contact us for more info. Love You Flower is an online flower shop. 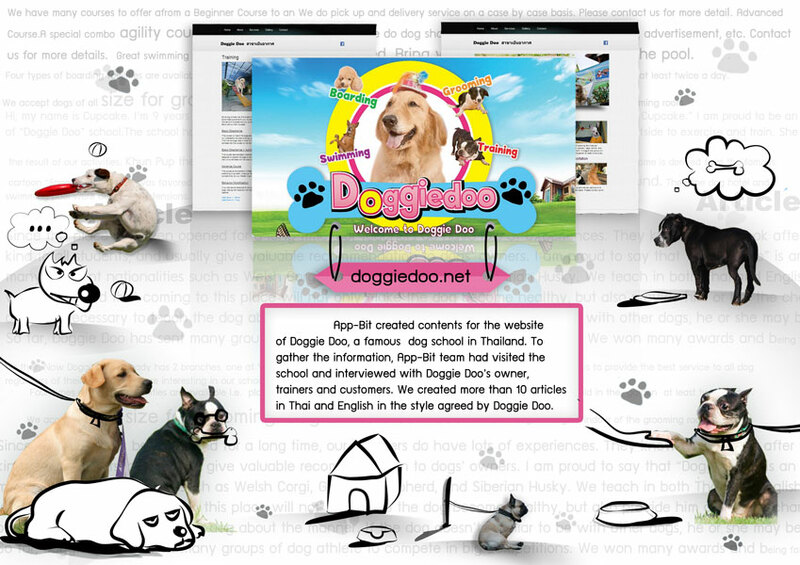 Doggiedoo provides pet services such as dog training, dog swimming pool, dog grooming, and dog hotel. Big Camera is a one of the largest camera and accessories distributors in Thailand. The Bangkok Art and Culture Centre (bacc) is a new mid-town facility for the contemporary arts in Thailand. 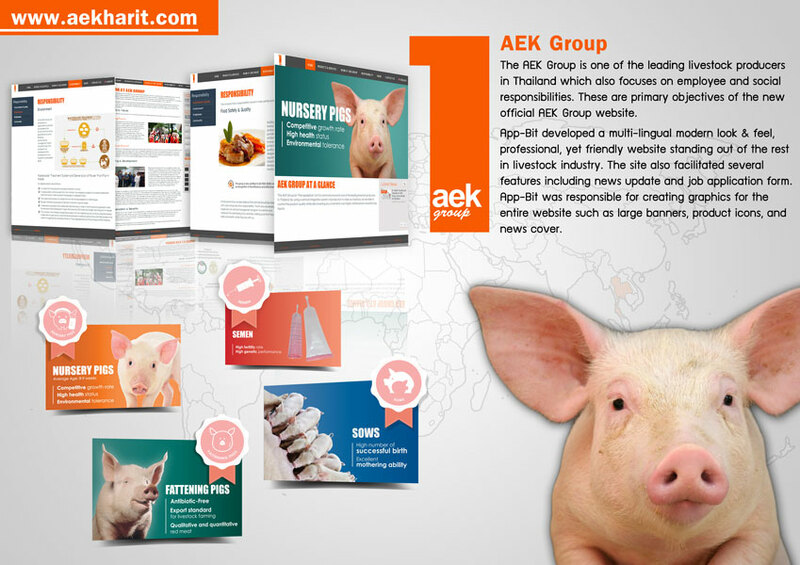 The AEK Group (or ‘Panuspokphan’ as it is commonly known) is one of the leading livestock producers in Thailand. 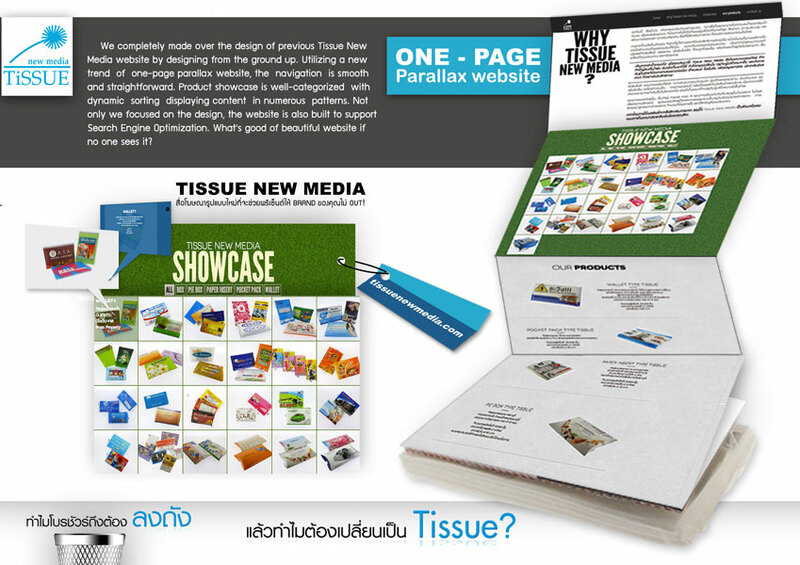 Tissue New Media is the new marketing idea of advertising on packs of tissues. Woof Woof Studio is the digital magical tales. Rutnin-Gimbel LASIK Centre is the expertise in eye care from the professionals of Rutnin Eye Hospital with the world-renowned research and development resources of the Gimbel Eye Centre of Canada. 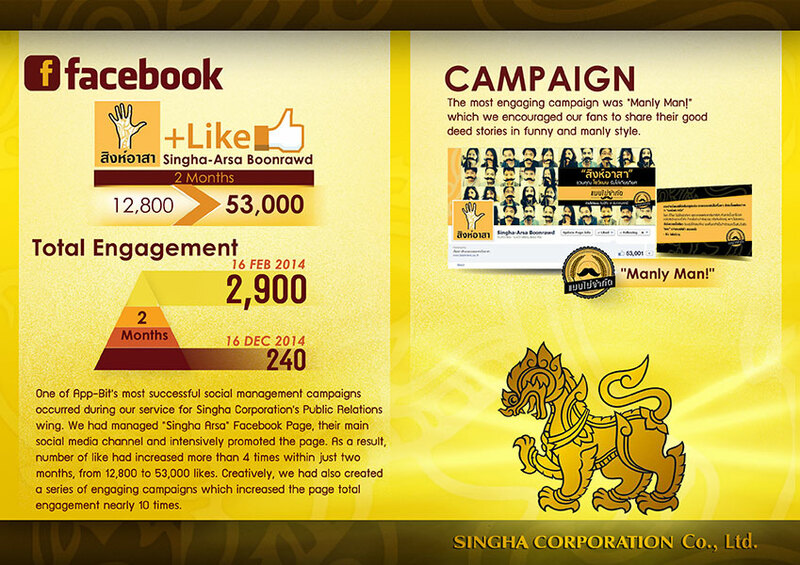 Singha Corporation is one of the biggest conglomerate in Thailand. They are well known for "Singha Beer," which is available worldwide. App-Bit Mail provides e-mail registration and hosting service for corporation of all sizes. We have tailor-made e-mail service to suit all your corporate needs. In case of any emergencies, we also offer call center service to support our customers. This will ensure that nothing will interrupt your fast growing businesses. Currently, our SEO and SEM strategies especially “e-mail” and “corporate e-mail” keywords help App-Bit Mail’s ranking on the first page of Google organic search result page and on the first ad rank of paid search. App-Bit Mail website is one page parallax site with responsive function, making sure that users’ experience don’t have any interruptions during the visit. Users can fully navigate the website without missing important information. Charter Account provides various legal services including business registration, trademark registration, and full accounting services. App-Bit Studio has not only developed the website for Charter Accounting, but also provided services of content marketing, graphic design, SEO, SEM and in-depth analytic reporting for the company. These services significantly support Charter Accounting’s creditability and accountability. With our SEM, we have increased number of orders by more than 15% for Charter Accounting. FruitNFlora is an online flower shop, ready to deliver nationwide for any special occasions. The company’s products include flower bouquet, flower & fruit basket, and flower vase. App-Bit Studio created FruitNFlora website from the ground up. We used simplicity and minimum design and set up on-line helps supports for customers. App-Bit also conducts SEO and SEM to help FruitNFlora’s ranking. As a results, www.FruitNFlora.com is currently on the first page of the Google’s organic and paid search result when searching with popular keywords such as “fruit basket”, and “flower basket”. LoveBigBike is a big bike’s accessories online shop. With the growing of big bike lovers, LoveBigBike’s products satisfy all of the need for speed fans out there, providing high quality riding gear equipment. 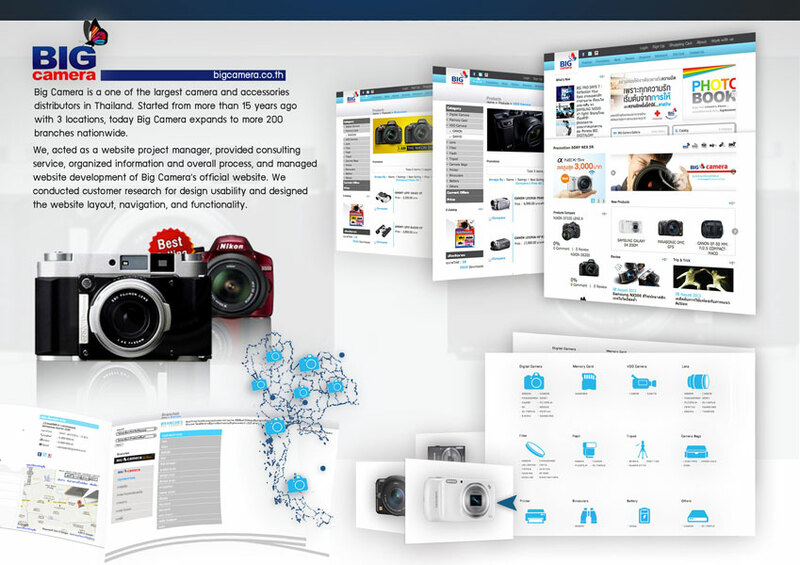 App-Bit Studio generated high quality E-Commerce website with complete E-Commerce system. 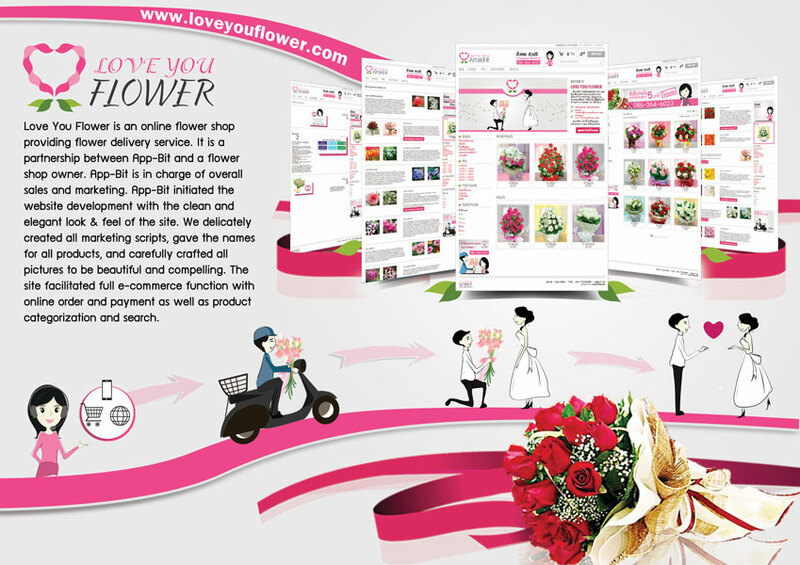 LoveYouFlower is an online flower shop providing flower delivery service. App-Bit is in charge of overall marketing of the shop starting with clean and elegant look & feel of the site. We delicately created all marketing scripts with best for consumer as well as friendly for Google Search Engine Optimization (SEO). 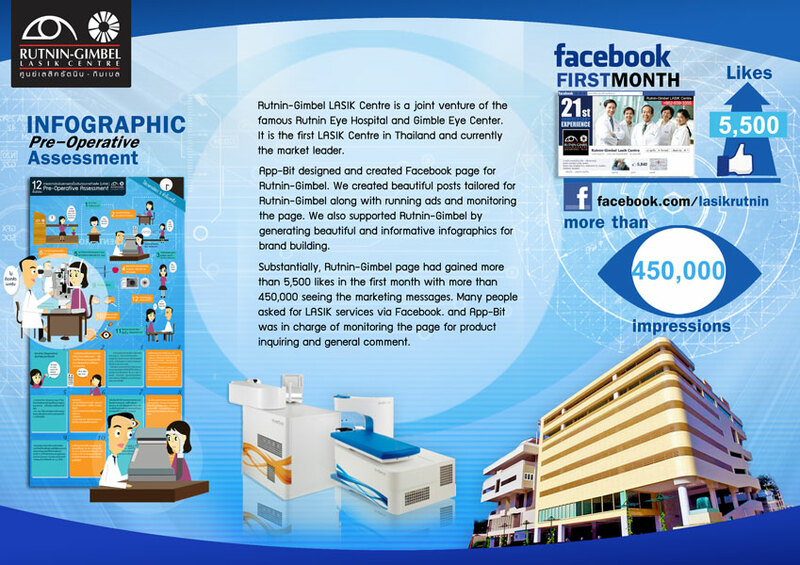 Graphics is crafted by designer team. The site facilitated full E-Commerce function with online order and payment as well as product categorization and search capability. WreathMala is an online funeral wreath shop delivering a funeral wreath nationwide. Besides generating E-commerce website, App-Bit Studio equipped WreathMala with on-line assistance system. Our SEO and SEM implementation also gives WreathMala competitive edge over other competitors. Moreover, we integrate all of WreathMala’s social media channels such as Facebook and Google+ all together to let the company stay in touch with the customers. 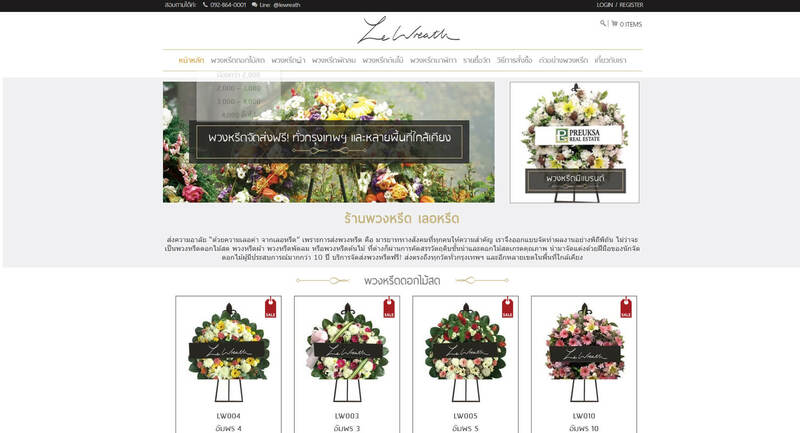 WreathNaWat is an online wreath shop focusing on Bangkok and surrounding area. During the site development, App-Bit had created a complete checkout online payment system: customers can use credit card, bank transaction, or even the latest payment technology “BitCoin”. WreathNaWat website has integrated with responsive design. Therefore, customers can easily view the website through their mobile phones without any screen size interruption. Customers can order our products at anywhere and at any time. Also, we integrate all of internet marketing channels all together: SEO, SEM, and social media to cover all customers’ journey on the internet. With our expertise on SEO combining with website design together, providing website user-friendly interface. We ensure that customers can get a quick purchase in just a few clicks away. 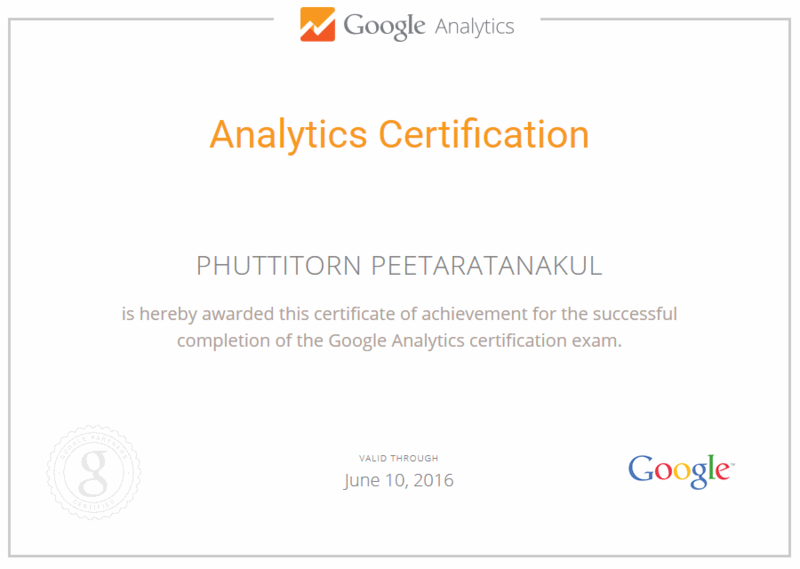 For analytics implementation, we constantly monitor our customers’ feedbacks and opinions. Based on the customers’ voices, we create a “temple name list” containing most of Bangkok’s temple location. As a result, WreathNaWat’s website lift up the industry’s standard in term of efficiency and effectiveness in delivering wreath to the customers, providing customers’ convenience more than before. Le Wreath is a first-class online wreath shop providing delicate and unique design wreath and other funeral flower products. The products are categorized by colors and seasons giving every customer a sense of luxury. 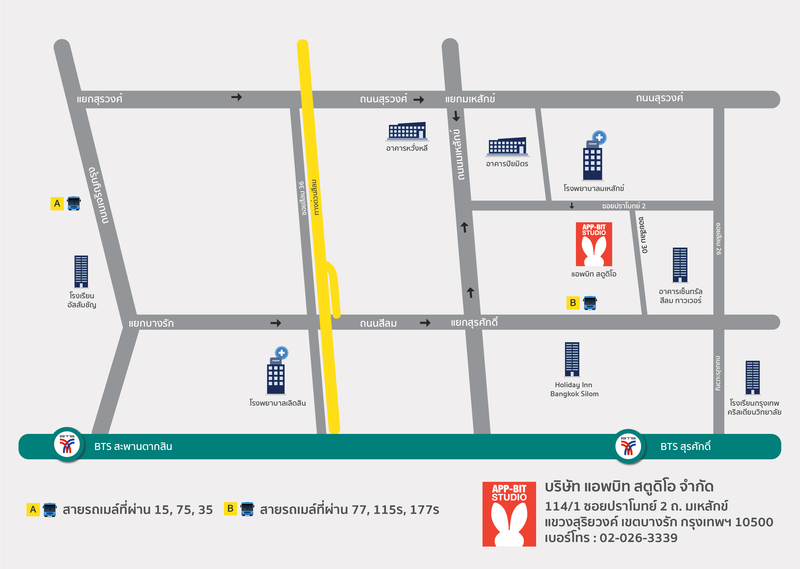 The shop provide free delivery service within Bangkok Metropolitan Region. App-bit Studio’s professional web design team helped developing a beautiful show case for Le Wreath, increasing the value of the products in the process. In addition, we developed the website to be both user and SEO friendly, making sure that user can easily use and find Le Wreath website in search engines. Le Wreath is also E-Commerce friendly by accepting various kind of electronic transferring such as PayPal, Credit card, and online banks transfer. PIM123 is a leading printing company with over 10 years of experience in this field. It offers one-stop-service for almost all kind of printed products with great quality, and cheap price. 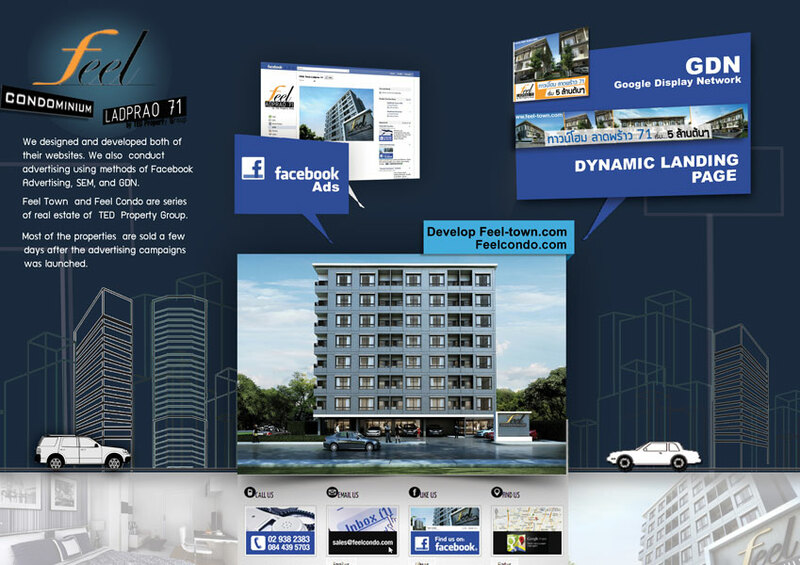 App-Bit had developed a highly interactive website for the company. 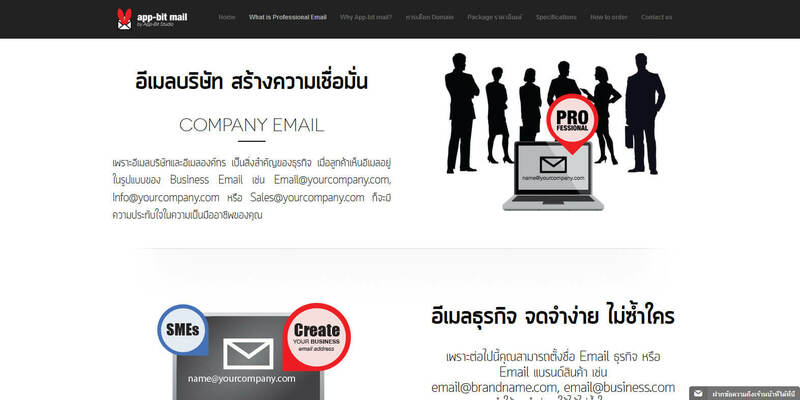 Customers can design their own business card and also compare the price with multiple add-ons, making PIM123.com one of the most sophisticated printing website in Thailand. App-Bit had generated tailor-made posts about seafood and cookery for me. The beautiful contents led people to join and participate with my page. Box of Fish loyal fans had increased for 50% within 3 months of the service. I appreciate App-Bit’s team. They spend a lot of time trying to make sure that their tailor-made offers really answer my problems. They are fast and responsible. Highly recommend to whoever looking for digital marketing services. Very creative. The illustration and website design work is far beyond my expectation. Great service. App-Bit is awesome. My condominium was sold out in just one month after the website and advertising campaign were launched! Still can’t picture how our works relate to your business? Some of these articles may answer you. We had developed websites to two famous motorcycle shops. One is a full featured online shop, the other only need an information website. 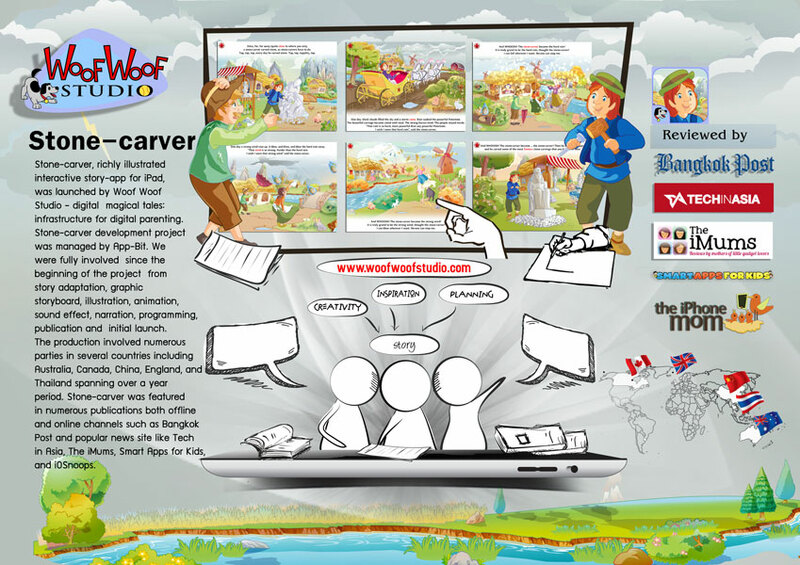 This article is about how we had provided the best website according to their requirement. 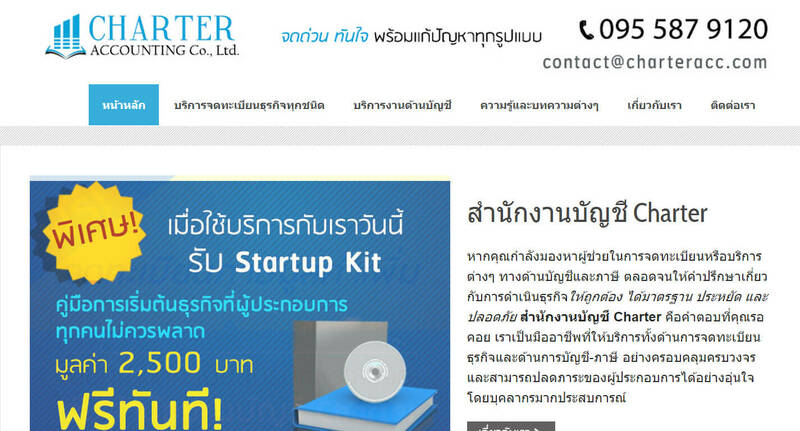 For quotation or any other inquiry, please contact us at +66(0) 2026 3339 or [email protected]. Once the scope of project is defined, we will send out a proper quotation for you. We are looking for talented members to join our growing team! App-Bit has a highly skilled team from various backgrounds with very flat organizational structure. You can expect a creative environment, thrilling challenges and a lot of fun in this great working space. If you have an adventurous mind and a passion for latest online technologies, then we have your ideal jobs. Get the latest news and updates with App-Bit newsletter. 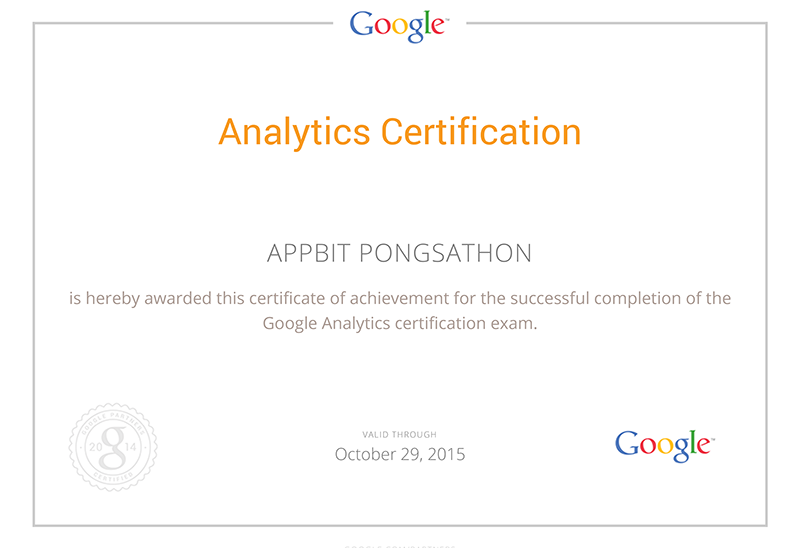 See Google AdWords and Google Analytics certificates honored to App-Bit personnel.